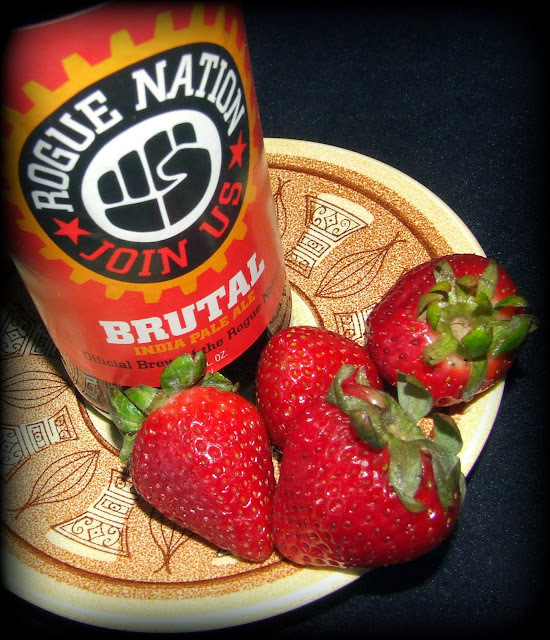 I had a remnant from a six-pack of Brutal IPA from Rogue and a pint of fresh strawberries hanging around in the fridge. They were all lonely like, so I decided to bring them together. The result was surprisingly delicious. 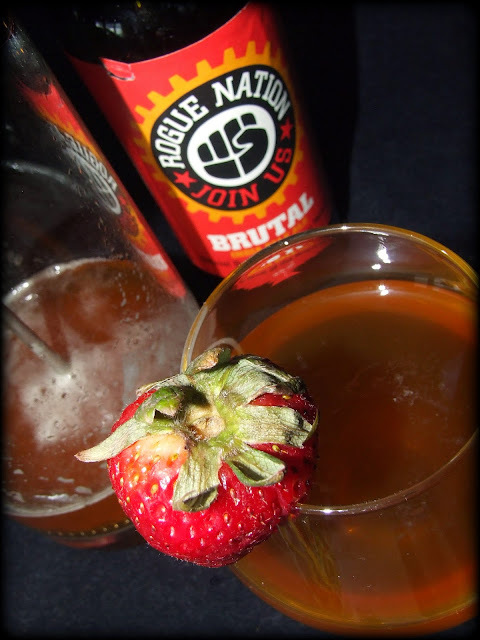 The sweet strawberries compliment the hoppy bitterness making the Brutal be not so, well, brutal. 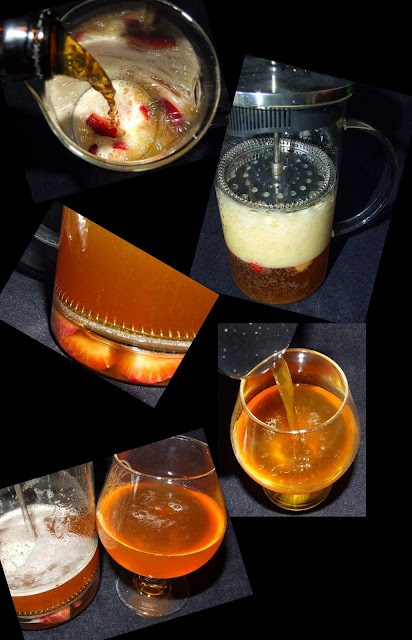 Place several cut up strawberry into the bottom of a French press and smoosh with the back of a spoon.Then pour 12 ounces of IPA in with the fruit. Let the beer soak into the berries for 4 to 5 minutes. Finally, press the filter down slowly and pour into a glass.